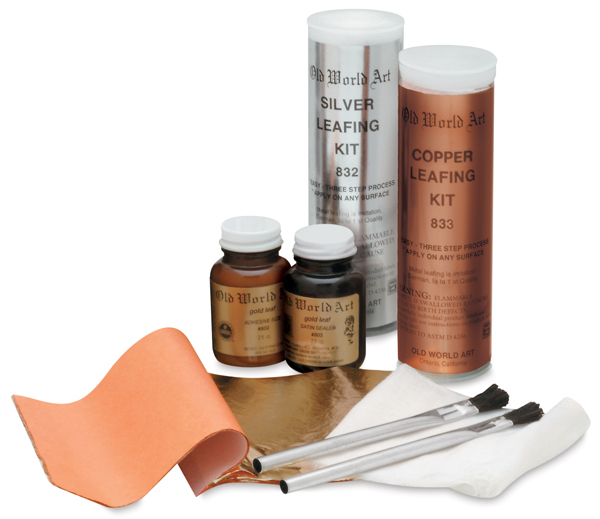 These kits introduce you to the art of leafing. Kits are composed of professional materials, including: 2 oz bottle of Adhesive Size, 2 oz bottle of Satin Sealer, two brushes, a burnishing cloth, and a book of leafing material. Contains the basic set, plus one book of Composition Silver Leaf.